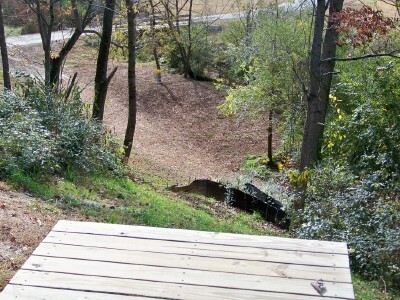 Very hilly piece of property with holes ranging from heavily wooded to wide open. Signature hole plays inside a 430' long fully enclosed ex-chicken house! From I-285; Take I-85 North then I-985 North past Gainesville (I-985 becomes GA Hwy 365), go past Exit 24 and one traffic light and take 2nd right on Whitehall Rd. (becomes Simpson Rd.). Go 1 mile and take 1st paved left on Greenway Rd to a right at dead-end on Whitehall Rd., 1 mile to a left on Harris Rd (dirt road) to the end. Although this course is amazing and is a serious test of skills, you need at minimal a 12-Pack... OF WATER! We had 5 bottles and 3 people... didn't work out to well! There is a coke machine on hole 12 "Chicken Coop", but the selection of Poweraide spits out coke, so we didn't even have the chance to select water when it was obviously out. The course is great though... but if you throw off the fairway, you are in for a long look. 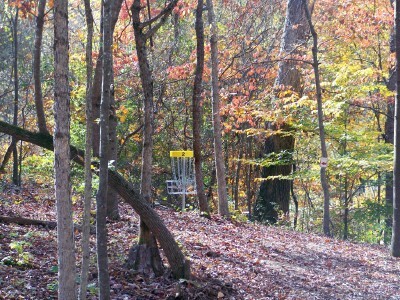 This is a must play for Disc Golfers. BRING YOUR HIKING BOOTS! Fantastic! 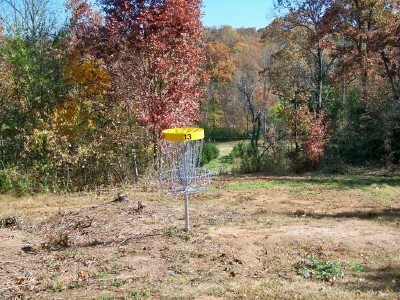 This is a pro player's course that is incredibly well designed. Level tee pads, even in the most precarious areas, utilize optimal positioning for dramatic fairways with extreme elevation changes. The chicken coop hole is a riot but you'll be talking about a lot more than that. My only complaint is it's not closer to home. I can't wait to camp out for a weekend at the tee-pee rentals. Don't miss this course. This private pay to play course is one of Georgia’s must play courses. The course is located in the foothills of the Blue Ridge Mountains and is one of the most beautiful courses in the Southeast. 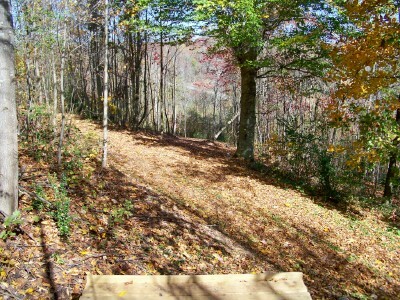 The park has been designed to give the canopy tour guest a quiet solitude while they travel through the tree tops of an Appalachian Mountain forest. 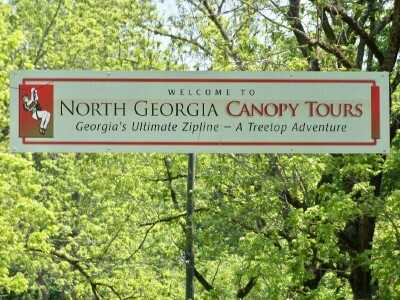 The course is designed so that it will not disturb the canopy tour guest. Because of this the course is located away from other park activities. 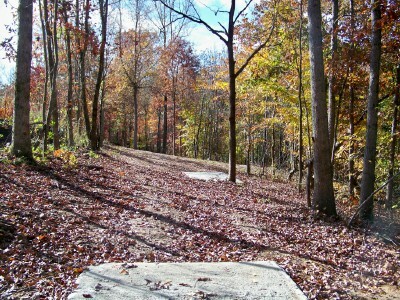 The course is mostly wooded with plenty of elevation change, with a wide variety of holes. 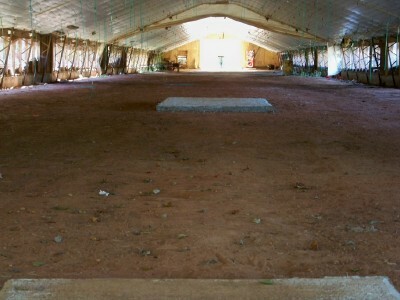 One hole is located inside of a former chicken house. The park has a pro shop, snack bar and a very friendly staff. I most recently played the course from the short tees this fall. 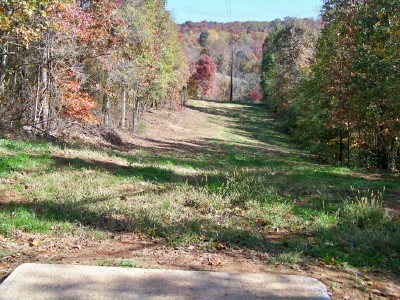 The course is absolutely stunning in the fall and the short tees offer you an energy conserving round. 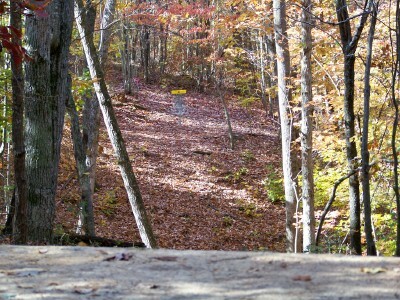 The short tees will give you a different look at the course with a lot of fun shots. The baskets, tee pads and signs are in excellent condition. The elevation change can be bit grueling in the summer. However a Coke machine is available on hole twelve. 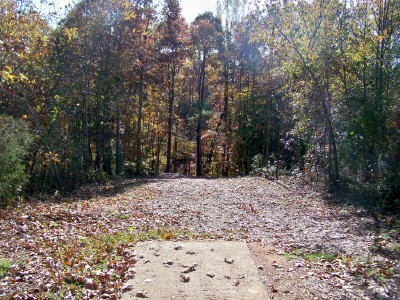 I consider this course to be one of the three must play disc golf destinations in Georgia (Flyboy, The International Disc Golf Center and the North Georgia Canopy Tour).